Ukraine and the Republic of Chile have agreed to scrap visa requirements between the two countries, Ukraine’s Foreign Ministry announced on Friday. 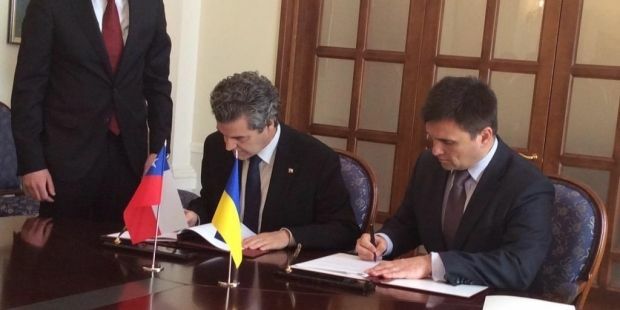 A ceremony for the signing of the visa-free agreement was held on Friday with the participation of Ukrainian Foreign Minister Pavlo Klimkin and Ambassador Extraordinary and Plenipotentiary of the Republic of Chile in Ukraine Juan Eduardo Eguiguren Guzmán. According to the agreement, the citizens of Ukraine and Chile will be able to stay in the territory of the two countries without visas for a period of up to 90 days in each six month period. Ukraine now has visa-free regimes with 80 countries around the world, with most of the agreements allowing Ukrainians to stay in these countries for up to 90 days.